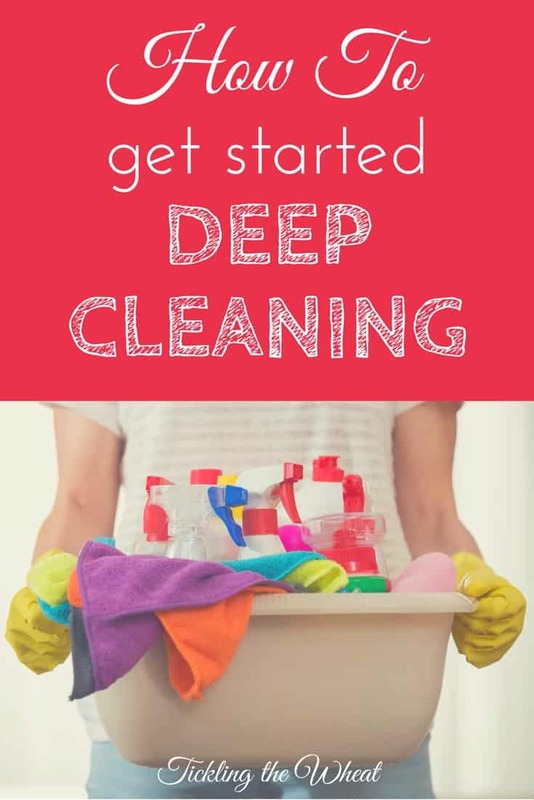 Deep cleaning your home (or even the thought of cleaning your home to make it presentable for guests) can often seem overwhelming. It’s too easy to procrastinate and then find yourself out of time with a messy house and guests already knocking at your door, expecting Christmas dinner. Maybe I’m one of those weird people who actually enjoys cleaning, but I find that once I get started, it gets easier as I go along. Unfortunately, it’s the “getting started” part that’s the most difficult. If you’re struggling to get your house cleaned in time for guests, or even if you’re trying to plan ahead and get a head start before the holiday season starts, here are some tips to make your cleaning process go a little smoother. One of the first things you should do when starting any cleaning is to make sure that you have all your supplies. I often keep cleaning supplies in each room, like under each bathroom sink, but for larger scale cleaning, like dusting the ceiling fans, you’ll need to make sure that you have the proper tools on hand. If you’ve run out of a cleaning product, try to make a homemade cleaner or use as a substitute. 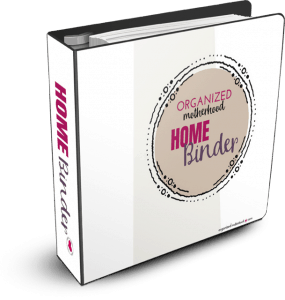 Some of my favorite recipes for homemade cleaners are included in The Best Homemade Cleaners: Recipes To Make Your Own Cleaning Products And Save! Whether you do all the vacuuming at the same time, or you work your way from top to bottom through one room at a time, follow a schedule or checklist that works for you. There’s no right way to clean, but the important thing is that you make your way through your home without forgetting anything. As you’re cleaning, make sure you hit everything, even the smallest details, like the lightbulb inside your lamp, so that you don’t have any surprises for your guests. It’s not exactly appetizing to look up in the middle of Christmas dinner to see a cobweb hanging from the chandelier. 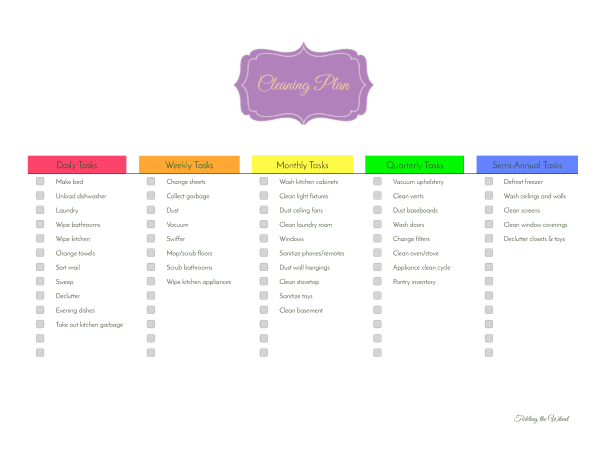 My cleaning plan is available in the Resource Library if you’d like to work from a template. I always host Christmas Eve and Christmas Day at my house, but I would only give myself a week to do my “deep cleaning” and get ready. Every night after work, I would be half crazed as I tried to tackle one room from top to bottom. On Christmas Eve, I would frantically finish my cleaning while trying to get dinner in the oven. I would finally jump in the shower as the first guests arrived. The past couple years, I started my deep cleaning a month in advance and it worked much better. I set up the Christmas tree the day after Thanksgiving (which worked out well because last year I knocked the tree over). Then I start in on my cleaning. 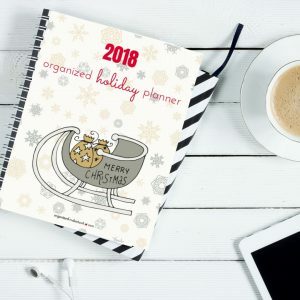 By doing a little each day over a longer period, it was so much easier and I could actually enjoy the Christmas season! If you know ahead of time what you need to do and what tools you’ll need to do it, deep cleaning will be much easier. 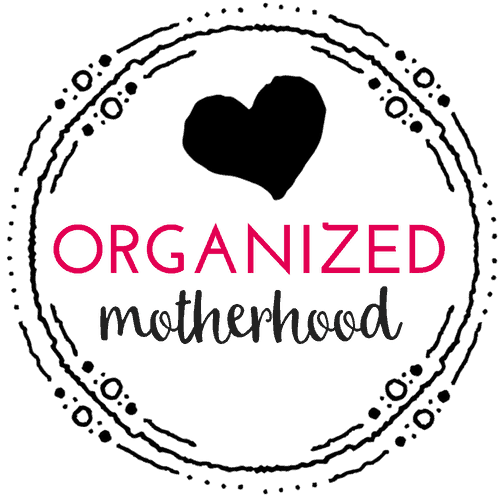 This is where following a schedule and allowing enough time come in! If you need something special, like a shampooer to clean your carpet, you’ll definitely want to plan ahead. That said, I try to plan ahead even when I buy my cleaning supplies. In the baking aisle to get everything for your Christmas cookies? Buy some vinegar to scrub your floors. If you use Amazon’s Subscribe & Save, watch for sales or coupons on things like Lysol wipes, Swiffer duster, etc., so that you can add them to your monthly order before you run out. 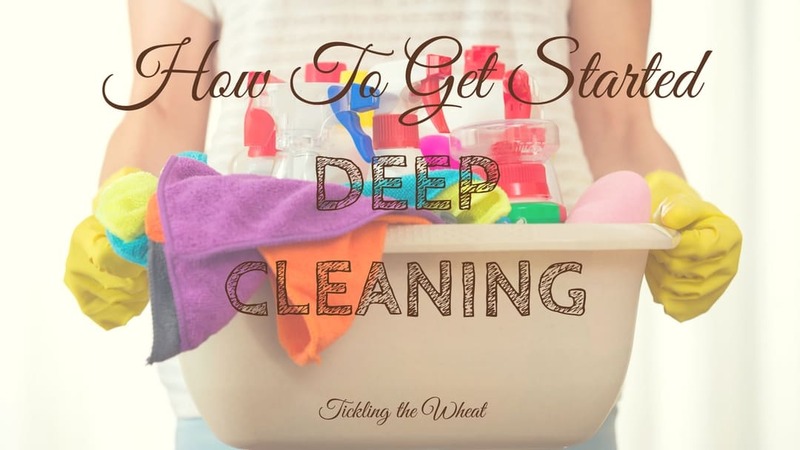 Deep cleaning your home, even in a short time frame, doesn’t have to be complicated. By arming yourself with the right tools and planning ahead, you’ll get through it! If you need tips on where to start or following a schedule, read how to “take the scary out of spring cleaning.” Even if it’s not spring, your house will thank you!